ADL Embedded Solutions has recently announced ADLEPC-1520 embedded mini PC powered by a dual or quad core Intel Atom Bay Trail-I processor, supporting wide temperature range, and long term 15 years availability for industrial applications and environments. The computer also includes an expansion header with PCIe, SATA, USB, SM-Bus and DisplayPort interfaces, that allows for standard or custom expansion board stackable on top of the main board. The company offers support for Windows and Linux including Ubuntu 16.04 and RHEL (Redhat Embedded Linux). 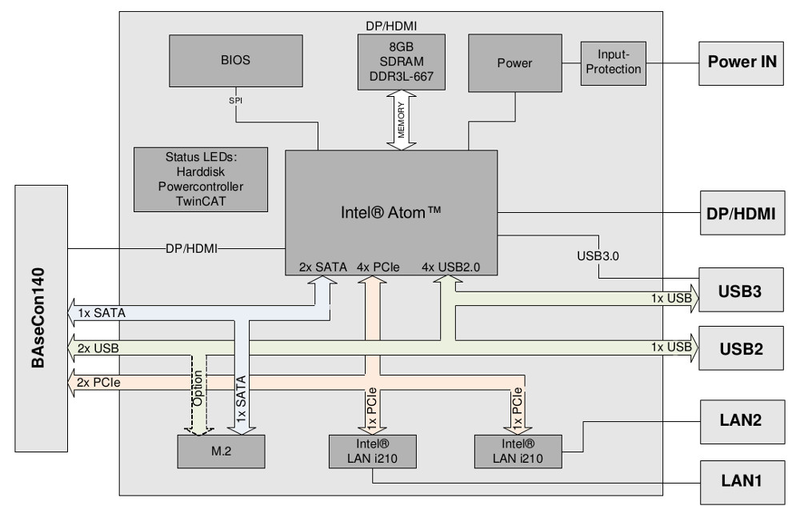 ADLEPC-1520-CUSTOM – Customer-Specific I/O and Power Board Development Services. computing, cyber security edge devices for ICS and SCADA threat security, traffic engineering, oil and gas IPC and more. ADLEPC-1520 mini PC, expansion boards and other optional accessories all appear to be available now at an undisclosed price. Visit the product page for a few more details and/or request a quote.